The Shark Genius Steam Mop not only cleans your floors amazingly well, it also allows you to apply the ideal amount of steam in every situation. 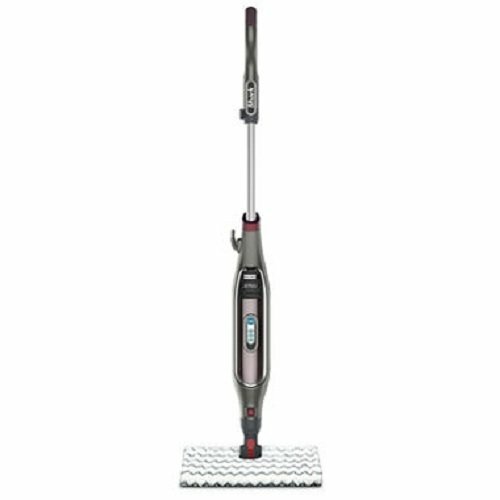 The Genius Steam Mop will sanitize your floors, eliminating 99.9% of common household bacteria. Shark's Steam Blaster technology activates a powerful burst of targeted steam that attacks and loosens tough, stuck-on messes, removing them quickly and effortlessly. Includes:Genius Mop Head.Dirt Grip Pad.Triangle Scrubber Head.Triangle Scrubber Pad.Fill Flask.